Security firm Wandera said it had seen a "constant rise" in attacks using the non-standard characters. Google engineer Emily Stark talked about the search giant's development of the "evil domain" spotter at the Usenix Enigma security conference this week. Google has also shared early versions of the tool to help web developers test and refine it. Ms Stark said more needed to be done, because currently staying secure often relied on users noticing when domains were dodgy - even when experts would struggle to distinguish legitimate ones from those crafted by cyber-criminals. In particular, the tool will seek to tackle the growth of so-called homograph attacks that exploit modern browsers' ability to handle non-English characters. "We are still seeing a constant rise on this type of scam or phishing domain," he told the BBC. "That's likely to be due to the plentiful combinations that can be used." 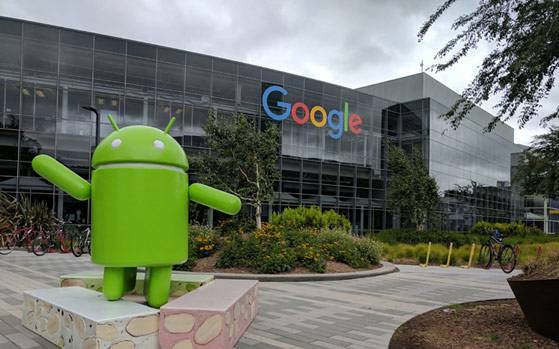 Mr Kampouris said Google's move was a "step in the right direction" in tackling homograph-based attacks but hoped that the feature would make it to browsers on mobile devices which often did not receive protections seen on desktops and laptop versions.